Regular physical activity doesn’t mean exercising to become an Olympic athlete! The best sort of physical activity is something of the equivalent effort of walking briskly for 30 minutes on most days of the week. This does not have to be in one 30 minute block. Shorter amounts (5 or 10 minute blocks that all add up to at least 30 minutes daily) work just as well. It’s never too late to start increasing your level of physical activity. 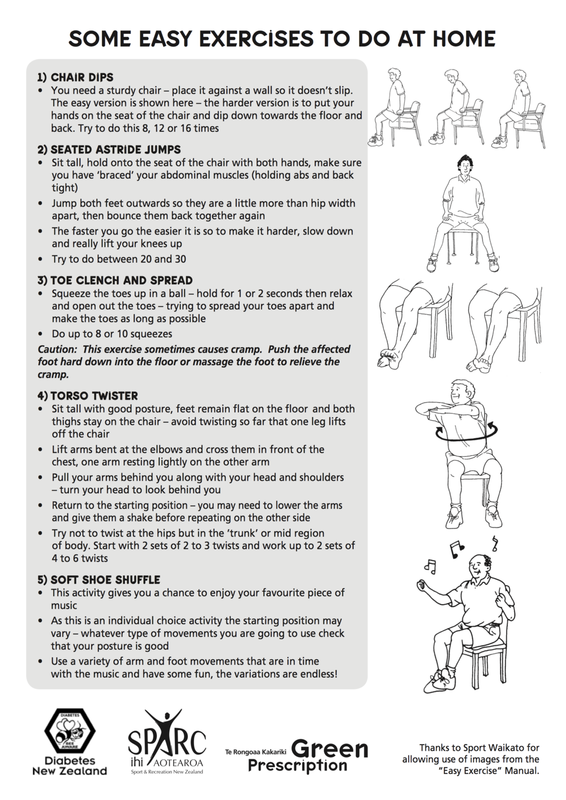 With few exceptions, even if you’re disabled or injured you can still improve your level of fitness. Once you get going, you’ll be amazed how quickly those excuses fade away! If you have any complications of diabetes, a history of heart disease, or diabetes for more than 8 years, you should get a thorough medical check before increasing your level of physical activity. The key to getting the benefits of physical activity is to stick at it over time. You will gain far more health benefits if you have regular moderate amounts of exercise every day than if you exercise for longer on only one or two days of the week. What sort of physical activity is best? The sort of activity that is most beneficial is what is called ‘aerobic’ activity. This means activity that uses oxygen. You know if you are aerobically active because you will have to breathe harder than when you are resting. Your breathing should still be comfortable however. You may need to discuss with your doctor or diabetes nurse educator what type of physical activity is best for you. Some complications of diabetes can make certain types of physical activity bad choices. Ask your doctor or diabetes nurse educator to write you a physical activity prescription (Green Prescription). A Green Prescription is a health professional’s written advice to a patient to be physically active as part of the patient’s health management. Ask for a physical activity plan that takes into account your current level of activity, special health concerns, and your diabetes management plan. What are your options for physical activity if you have an injury, illness to disability? 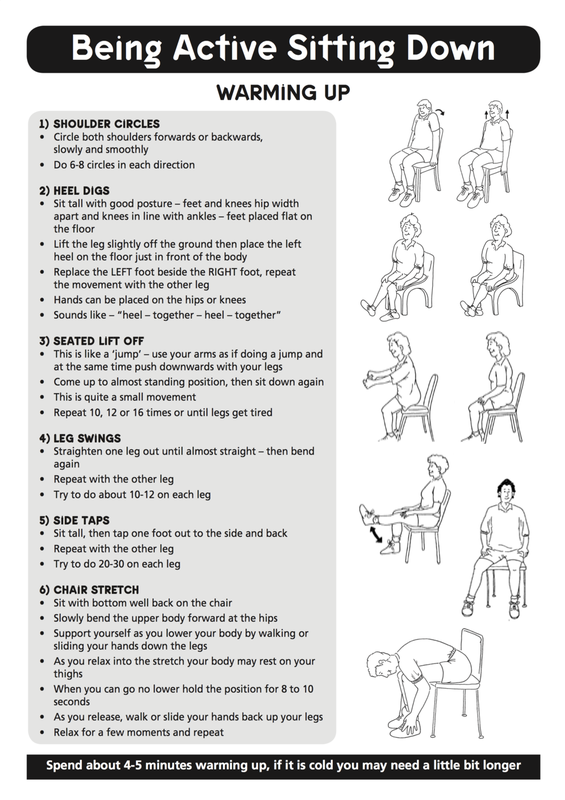 Use this Activity Sheet to be active sitting down.